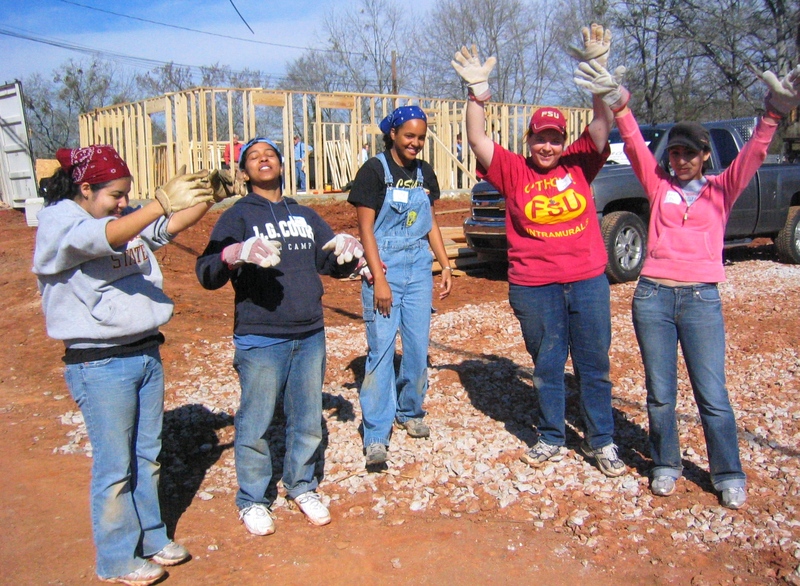 Student Builder mission partnerships make it easy for your sports team, church youth group, fraternity/sorority, faith club at your school or other organization to build a lasting relationship with us. Get involved in building a better world by taking a collection at one of your events, volunteering at a build and bringing others with you, sharing the word about the bicycle adventure, traveling overseas to build and more! STEP 1: Fill out our mission partner interest survey to express your interest and get us all the relevant contact info. STEP 2: We’ll follow-up with you to help you explore the opportunities. STEP 3: Print and sign our brief covenant, which expresses our mutual interest in partnering together. Scan and email, fax, or snail-mail it in. Once we sign it, congratulations – it’s official! 701 S. Martin Luther King Blvd.